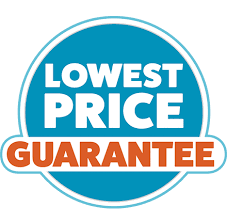 In our effort to bring you the lowest prices possible we offer our price match guarantee. 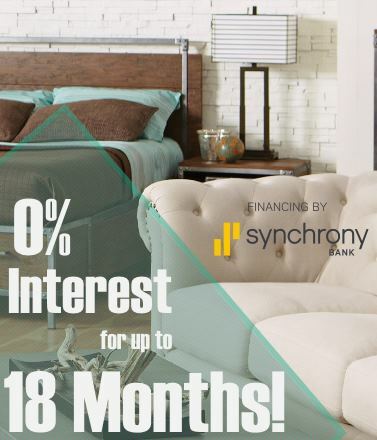 The process is a no hassle price match that makes it easy for you to save money on the things you need most for your home! Simply print out a competitors Advertisement and bring it to our store and we will price match and beat the competitors price! 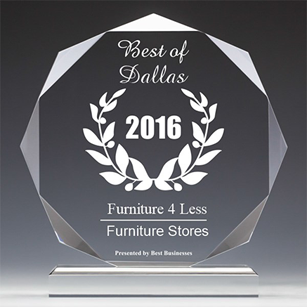 Price matching applies to local retail and online competitors only (Dallas Fort-Worth Area). We can only offer this service on In-Store orders. Products must be from the same manufacturer and must be the same item number. Any Competitors print ad must contain a URL that can be verified by a store manager. Competitors must offer the same services we offer (Delivery, Financing, Warranty, Showroom). Generally price matching applies to our cash prices. When we are matching financed orders Finance fees and Application fees will still apply. Online Classified ADS may turned down for price matching if the competitor does not advertise this item on its own domain online. Price matching Does not apply to ONLINE orders. We reserve the right to decline a price match offer. Is what I see online all that you carry? No, we have over 10,000 items available in our catalogs. Our website is a small showcase of our most popular items, If your looking for something in particular that we do not have online, we can get it! If you would like to find out if we carry a particular item that you are looking for call us at 972-488-4040 one of our associates will get you a price right away! How long does it take to get my merchandise delivered? If your purchase is a special order we typically deliver within 3-7 business days. All orders are subject to availability, meaning if an item is on back order and we have to wait until it arrives which will delay your delivery. We always try to avoid selling back ordered items by checking stock before we sell items to our customers, in the event that you have a back ordered item we will offer you several alternatives and if none of those are to your liking we will gladly refund the item. Yes, our Local Delivery starts as low as $65 depending on your location. When you purchase from us you have the option to pick up at our Farmers Branch location for free or you can select Drop-Off only (No-setup), Or Delivery w/ Set-up and or our drivers will remove all trash and assemble furniture in the rooms you select for them. We currently focus on the Dallas, Fort Worth, Denton, McKinney, Mesquite and all surrounding areas. *Although our website may quote an automatic shipping rate. It is intended to apply to local deliveries and maybe subject to change if you are over 35 miles from our location. Does saving money mean sacrificing quality? What makes your prices lower? No, at Furniture 4 Less we sell only high quality handpicked items. Although we are not a manufacturer we do know what our furniture is made from. Many of our items are built out of various solid hard woods and veneers, quality top grain leathers, and some of the best split grain and bonded leathers available. We also sell many different types of microfibers and chenille fabrics so you sure to find what you are looking for. If you have any questions about what your new set is made out of you can always feel free to ask and we will give an honest up front answer. Our product line is regularly checked for quality and because we sell a lot through our catalogs we will guarantee that if we have a problem of any kind with an item we have sold you that we will take care of the problem to your satisfaction and discontinue the item from our store immediately. By doing this we minimize our problematic items and continue to sell only the best furniture at the lowest prices. The reason our prices are so cheap is simple We believe everyone should be able to afford beautiful new furniture. We offer the same high quality furniture available at any of our competitors but at a much lower mark-up and we sell in a higher volume. By doing so it allows us to buy manufacturer direct and pass the savings on to you. **Delivery Fee's are charged COD on in store purchases and the delivery fee is non refundable. Special orders and Internet orders are not subject to cancellation or refund. Merchandise Availability is an estimate according to information on hand at time of sale. Seller shall not be responsible for any delay or default of merchandise beyond control of seller. Seller is not responsible for merchandise too large to fit. Seller makes no warranties beyond manufacturers warranties. Sales Policy: No exchanges No cancellations and No refunds.